Not only is heavily indebted 1Malaysia Development Bhd (1MDB) getting a new chief executive officer (CEO), but it has also failed for a second time to pay a RM2 billion loan to local lenders due on December 31 last year. 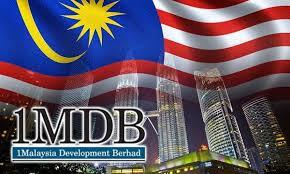 Sources said 1MDB has now been given until January 30 to settle the debt that was originally due on November 30, 2014. Malayan Banking Bhd (Maybank) and RHB Bank Bhd are the lead lenders. The problem has been brought to the attention of Bank Negara Malaysia (BNM), and sources said at a recent meeting, top executives from 1MDB led by chairman Tan Sri Lodin Wok Kamaruddin, director Tan Sri Ismee Ismail and outgoing CEO Mohd Hazem Abdul Rahman were given a dressing-down by the central bank. According to sources, the 1MDB executives were told in very strong terms that they will face action if the matter is not settled. Maybank, RHB and BNM declined to comment. 1MDB did not respond to queries on the matter. The RM2 billion is part of the RM5.5 billion debt taken through its subsidiary Powertek Investment Holdings Sdn Bhd last May to refinance a RM6.17 billion bridging loan taken in 2012 to part finance the purchase of power assets. The remaining RM3.5 billion has been converted into a 10-year term loan due in August 2024. Maybank has 58.99% of the RM2 billion loan while RHB has 32.41%. The other lenders are Alliance Investment Bank Bhd (4.06%), Malaysia Building Society Bhd (3.24%) and Hwang DBS Investment Bhd (1.29%). Sources said the inability of 1MDB to meet its payments shows how it is struggling with cash flow that cannot support its debt servicing. They said it is likely that 1MDB has not received the US$1.23 billion (RM4.3 billion) that was supposed to be redeemed from the fund in Cayman Islands on November 30 last year. The money was the remaining amount of the US$2.33 billion invested in a fund there. In 1MDB’s audited accounts for the financial year 2014 ended March 31 (FY14) released in early November, it was stated that the money would be redeemed by November 30, 2014. 1MDB had borrowings of RM42 billion and suffered a negative cash flow of RM2.25 billion in FY14 with its debt servicing at around RM2.5 billion. Apart from not getting all the money back from Caymans, 1MDB’s plan to list its energy assets to raise money to pay its debts has been delayed and now looks likely to take place only in the second quarter of this year. Source: The Edge Financial Daily, January 6, 2015.